On 23 March the conflict in central Mali escalated to unprecedented levels. An attack on the village of Ogossagou in the Mopti region, allegedly by the Dan Nan Ambassagou group, left 157 Fulani civilians dead. The next day, the government’s Council of Ministers decided to reorganise the military hierarchy and dissolve the Dan Nan Ambassagou group, comprising hunters apparently from the Dogon community. The government’s response, which elicited some public criticism, aimed to stabilise the country’s central region. But the main challenge remains taking concrete steps on the ground to ensure the protection of civilians, restore social cohesion, and speed up the Disarmament, Demobilisation and Reintegration (DDR) process launched in December 2018. The process aims to recover all illegal weapons and offer alternatives to combatants of violent extremist groups who wish to disengage. The DDR process and peace efforts could be seriously undermined by the recent attack because it also targeted members of the largely Fulani Sekou Bolly’s armed group. This group claims to be affiliated to the Movement for the Salvation of Azawad, a stakeholder of a peace agreement signed in 2015. 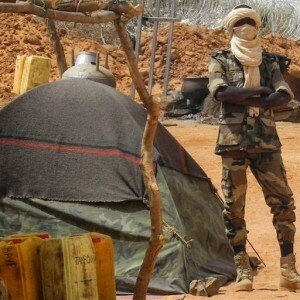 Mali’s centre has seen a rise in violent attacks against civilians and security forces – the Malian Armed Forces in particular – since the beginning of 2019. On 1 January, nearly 40 people were killed in an attack on the village of Koulogon-Fulani. Twenty-three people died in another attack on a military base in Dioura on 17 March. The Group for the Support of Islam and Muslims (GSIM), created in March 2017 as the main ‘jihadist’ coalition including the Katiba Macina, claimed responsibility. Katiba Macina is led by Hamadoun Koufa, who was thought to have died before he reappeared in a video interview in Arabic in February this year. On March 20, an audio clip translated into the Fulani language Fulfulde denied his death and criticised the government’s handling of the central Mali crisis. This group is particularly good at establishing itself in rural areas by exploiting weak governance. Here civilians have limited access to justice, little or no protection for themselves and their property (including livestock), and deep distrust for state defence and security forces. Mali’s central regions are ethnically diverse, with different lifestyles and socio-professional affiliations that can fuel conflict. For example the Dogon, Bamanan, Marka and Nono are traditionally sedentary. The Fulani and Bozo are nomadic but often become semi-nomadic or sedentary due to climatic hazards and development policies that favour a less nomadic lifestyle. For example there are no public nomadic schools – parents who want to send their children to school must become sedentary. Violent extremist groups thrive in areas where the state is absent or contested. They also flourish when demographic changes and socio-economic fragilities cause inter-communal tensions around access to land and pastoral resources, for example. Extremists promise protection and socio-economic wellbeing. For instance, since 2015 Katiba Macina has focused on resolving old conflicts arising from access to agricultural and pastoral lands in several areas of the Central Niger Delta. There have been multiple attacks and targeted killings as a result of the state’s inability to protect lives and properties. Communities are developing self defence mechanisms, and the number of community based armed groups in the centre has grown. Human rights organisations say the civilian population has also been badly affected by the government’s counter-terrorism operations, which often involve arbitrary arrests and human rights violations. In mid-February, 20 members of the Fulani community died during counter-terrorism activities in the Mondoro region. These actions contribute to deteriorating relations between civilians and the armed forces. The government has also adopted a plan – Plan de Sécurisation intégrée des régions du centre (PSIRC) – to integrate both security and development for Mali’s central regions. Yet insecurity persists, showing that the state’s responses are neither sufficient nor effective. At Mali’s National Assembly in January, Prime Minister Soumeylou Boubèye Maïga called for both military operations and the return of public administration to areas affected by the conflict. He also advocated for an intercommunity dialogue mechanism, and the DDR process. On 4 January President Ibrahim Boubacar Keïta announced in Koulongo-Fulani that a regional forum for peace and reconciliation would be held in central Mali. But holding only local consultations won’t be enough to end the violence. On the ground, people are critical and distrustful of community dialogues that aren’t coordinated or carried out as a national strategy. Civil society and non-governmental organisations implement their own initiatives, and participants at meetings are not legitimate. These efforts produce little or no results, and seem unconnected to national decision making processes that can change the situation. Community dialogue can help ease tensions and defuse conflict, but shouldn’t be used at the expense of justice. Human rights organisations and the United Nations Multidimensional Integrated Stabilization Mission in Mali can help by documenting practical cases and implementing transitional justice. Mali’s government should focus on protecting civilians. During anti-terrorist operations it must also avoid stigmatising certain communities, such as the Fulani, as being affiliated to jihadists. The state should show its willingness to fight against impunity to prevent future massacres such as the one in Ogossagou. Disarming groups should be done comprehensively to avoid the perception of bias. And a government high representative should be appointed for the central regions to coordinate the state’s actions and those of the multisectoral PSIRC. Without strong political will and a clear long-term strategy, resolving Mali’s crisis will be difficult. Over the next few weeks, government must show that the decisions made at the 24 March meeting lead to improved security in the central region.